These apple sausages are amazing! Slightly sweet from the honey and apple but with a great meaty flavor. I’ve eaten them three times already in the last three days. They go well with vegetables for dinner as well as with eggs for breakfast. I’d guess that they’d also be great in recipes requiring breakfast sausages. This is a great recipe to make for your freezer. Cook all of the sausages at once and then freeze in a single layer. Once frozen, store the sausages in a container in your freezer for easy future meals. Core the apples then grate them by hand or in a food processor. Grate or finely mince the onion. Place both apples and onions in a medium mixing bowl. Add the pork, beef, sage, cinnamon, salt, black pepper and honey to the mixing bowl. Use your hands to thoroughly mix all ingredients until everything is evenly dispersed. 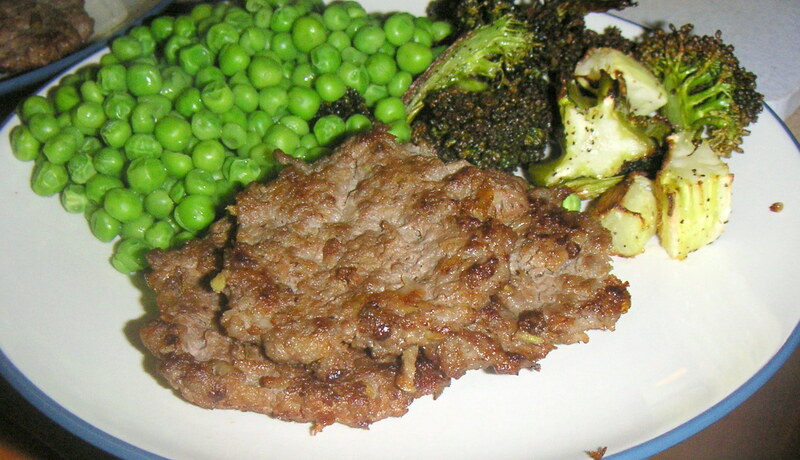 Begin forming the meat into sausage patties. I made balls about the size of golf balls and then flattened them into thin disks, but you can make your sausages whatever size you prefer. 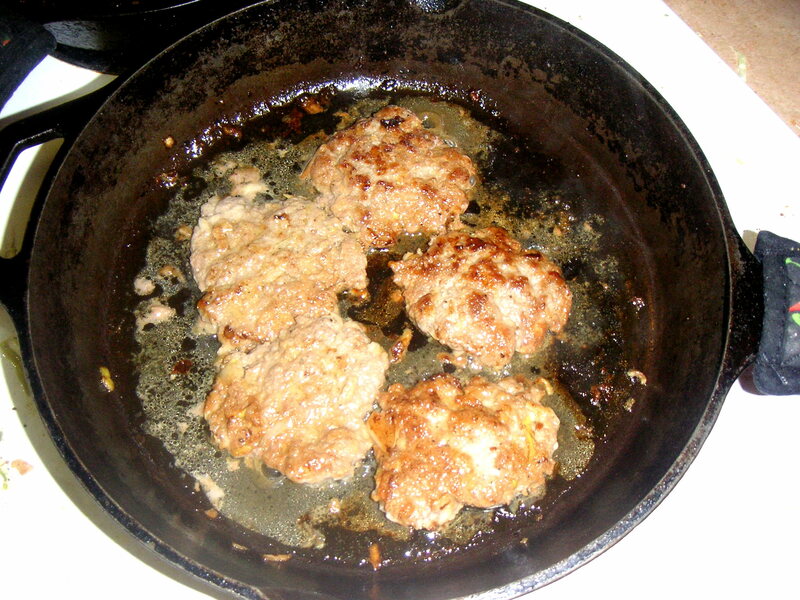 After you shape each sausage patty, place it into a pre-heated pan and fry on both sides. I used three pans so I could have many sausages cooking at once. When each sausage is cooked through, transfer to a plate and set aside while you finish cooking the rest of the sausages. Store finished sausages in your fridge or freezer. I like the sound of these sausages, especially with the apple and sage. It must give them a lovely flavour. It's great you can make them ahead and freeze them too. Yes, we think they're delicious. :) I need to make more soon because they're almost gone from the freezer! Thank you for sharing this recipe. I made these last night with ground turkey and I thought they were very good! Sadly, the rest of my family did not care for them, I guess they prefer more savory sausages to sweet ones, but I thought they were lovely and could even see them being served at a gourmet restaurant. It's always fun to find a new GAPS recipe, thank you! Delish!!!!!!! This was so very good!!!!! Thank you!!! !